A city coloured in history, culture and fantastic architecture Kraków is home to many must-see tourist wonders. Situated in the warmer climates of southern Poland near the Czech Republic boarder, it boasts one of Poland’s best kept medieval centres. Focussed around the market square plaza, Rynek Glówny, the old town is surrounded by Planty Park and the oldest remnants of the city’s original medieval walls. Revelling in the sites of Wawel Castle, the old Jewish Quarter and museums dedicated to Pope John Paul II will only scratch the surface of the monumental offerings presented by Kraków. After a dip into the historic awe of Wawel Castle and a relaxing stroll or cycle through Planty Park, you arrive at the heart of Kraków’s 13th Century Main Square ready for some pierogi in one of many traditional Polish restaurants - and just a stone’s throw away for a browse through Kraków Cloth Hall – home to a wide array of indoor market stalls where you can fill your return luggage limit with time-honoured memorabilia. 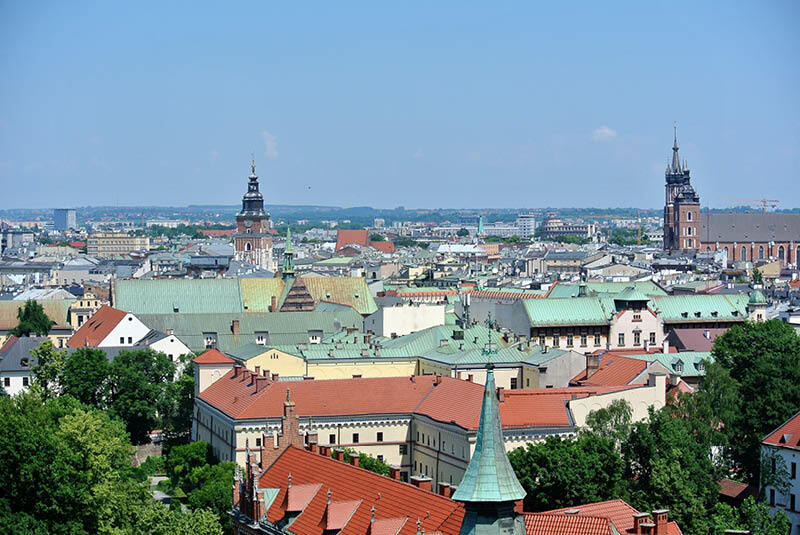 Panoramic views of Kraków's colourful rooftops can be see from Zygmuntowska Tower in Wawel Cathedral. © Marcin Young-Ziolkowski. View of Kraków Cloth Hall & Indoor Market (Sukiennice) from the market square plaza, Rynek Glówny. © Marcin Young-Ziolkowski. Crimson sunset lighting up the striking features of Wawel Royal Castle, as seen from the banks of the river Wisła. © Marcin Young-Ziolkowski. Entrance & tourist centre to the Wieliczka Salt Mines, Krakow. © Marcin Young-Ziolkowsk. Taking time out from cultural relaxation - and after descending more than 300 steps to reach a depth of 135m below the surface, about 14 km south-east of Kraków - we find ourselves amidst a geological splendour: over 2,300 underground chambers and chapels interconnected by almost 245 kilometres of meandering corridors carved through ancient salt deposits. Wieliczka Kopalnia Sol, better known to us tourists as the Kraków Salt Mines, is an official UNESCO World Heritage Site with a 700-year-old history carved by one of Poland’s oldest business ventures. Often referred to as “The Underground Salt Cathedral of Poland”, the salt mines also house a private rehabilitation and wellness complex, literally using the salt of the earth to improve wellbeing and speed up recovery. Technically speaking, the mines were formed by the hands of skilled and dedicated miners over the past 700 years. However, the salt deposits which comprise this canvas underwent a far lengthier process of formation. Of course, when we talk geology, we’re in million-year timescales so something far bigger and more dramatic must have been going on here. Humans may have carved these miraculous sculptures within the last millennia, but we cannot take credit for the formation of this salty wonder. The western Tatra in Kościelisko, Southern Poland. © Jane Whaley. In the mid-Miocene, over 13.5 million ago, the earth’s crust in this region was at a particularly active stage. Tectonic movement and subsequent collision created the Carpathians, a mountainous range forming an arc stretching from west to east from the Czech Republic to Romania. 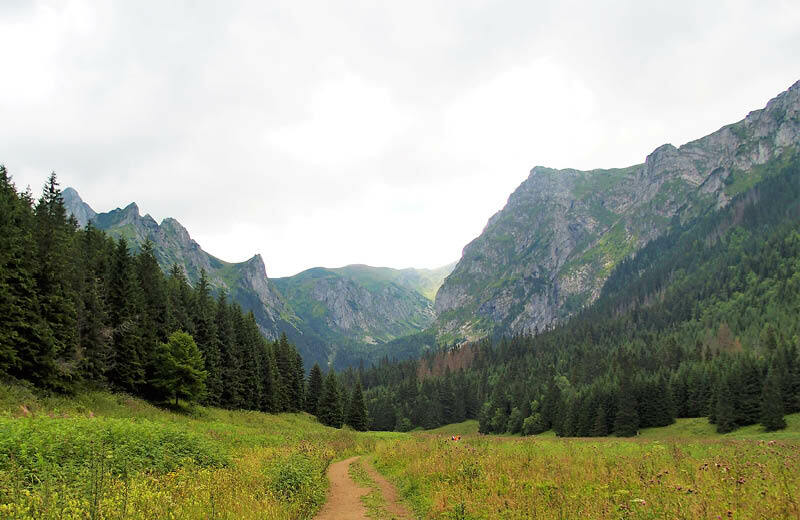 The particular part intersecting Poland is the Tatra range on the border of Slovakia and Poland, a national park with several peaks above 2,400 meters. The geological evolution of individual parts of the chain is complex, a result of tectonic processes like folding, thrusting and the formation of sedimentary basins. These processes played a major role not only in determining the sedimentary fill of these basins but also had further effects on the existing basement structure. The Devils Golf Course in Death Valley, USA. 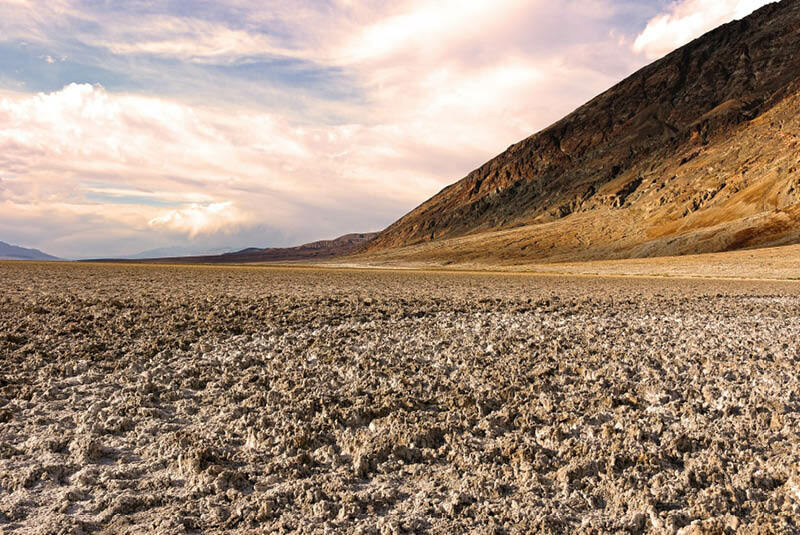 This salt plain is a result of the isolation of the Badwater Basin and the subsequent evaporation of the isolated body of salt water. This baron and derelict salt plain is perhaps analogous to the evaporation of the Northern Tethys Ocean in the pre-Carpathian sedimentary basin, leaving behind the Wieliczka salts, before they were buried and deformed by complex geological processes. Spanning from the Western Carpathians to the Forelands was the pre-Carpathian sedimentary basin, home 13 million years ago to the northern branch of the Tethys Ocean. Further tectonic activity isolated this body of water, and thousands of years of dry weather resulted in the evaporation of the water and the precipitation of salt. Subsequent deposition of terrigenous sediments including sand, silt and claystone resulted in the compaction and burial of these salt deposits. Coeval tectonic processes such as folding resulted in the halokinetic movement of the Wieliczka salt deposits to their current day near-surface location – enabling exploration and mining as we know it today. 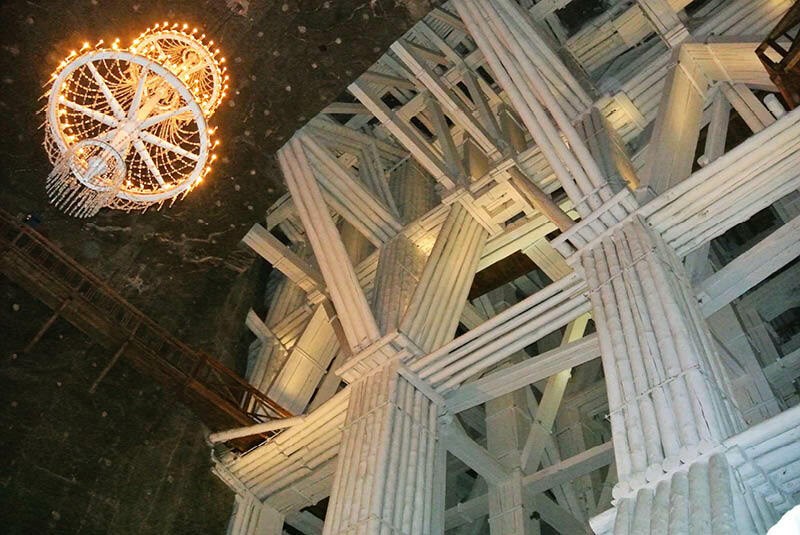 The Wieliczka salt deposits stretch laterally over an area of 10 kilometres, with widths extending from 200 to 1,500m and up to 400m thick in places, with layers of different salts interspersed by clays. The deposit is closest to the surface at 30m and furthest away at 330m below the surface. The prehistoric Tethys Ocean was named in honour of the Greek Titaness, Tethys. Tethys was daughter to Uranus and Gaia, wife to the Titan Oceanus and goddess to the embodiment of fresh water! An ironic honouring for such a salty aqueous mass…no? Salt precipitation on the walls of the Wieliczka Salt Mines. © Marcin Young-Ziolkowski. 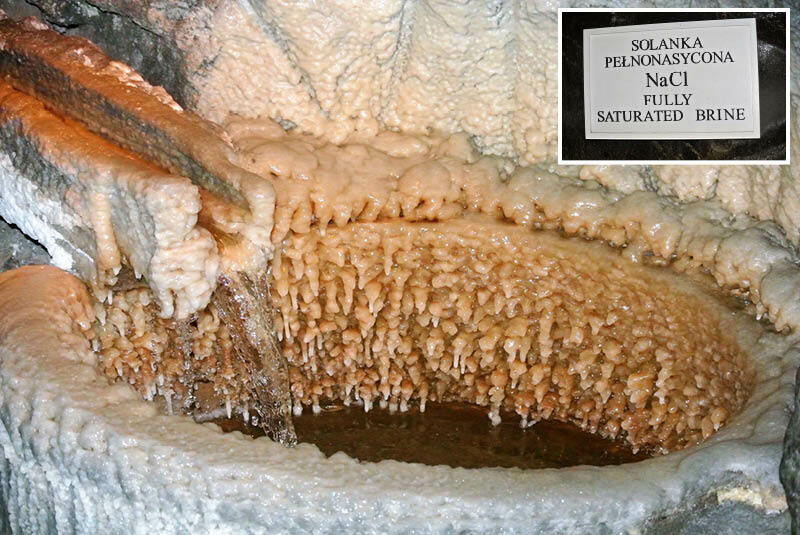 Millions of years after its deposition and burial, the Wieliczka salts were discovered in the 13th century where the first two mining shafts were dug. Marking this location is the Saltworks Castle in Wieliczka, headquarters of the mine from medieval times until 1945. This historic medieval building is now home to the Kraków Saltworks Museum. In the 14th century, the miners dug deeper and the existing shafts were extended to penetrate further into the enormous salt deposit. As yield increased, so did revenue, paving the way for the founding of The Academy of Kraków in 1364, where the professors were paid from revenues generated by the Kraków Salt Works. 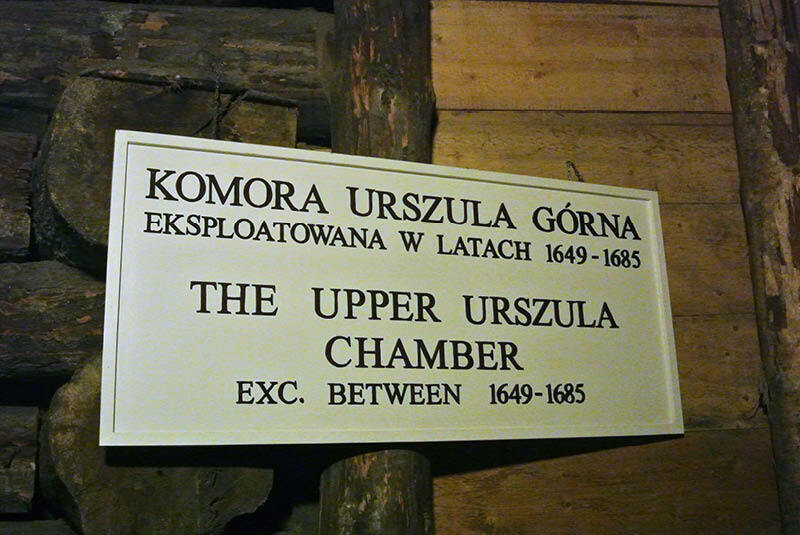 Entering the Upper Urszula Chamber which was excavated nearly 500 years ago, beginning in 1649. © Marcin Young-Ziolkowski By the end of the middle ages in the 15th century, over 300 miners worked in the Kraków Salt Works, collectively yielding over 8,000 tonnes of salt. By the mid-17th century these figures had grown by gargantuan numbers, with over 2,000 employees and a total of over 30,000 tonnes of Wieliczka salts had been produced. In the 18th century, new technologies were introduced to the mine in the form of Saxon treadmills, which were used to haul huge volumes of collected salt to the surface, which improved efficiency greatly. To replace the medieval methods of using pickaxes to hack salt from the crevasses of the mine, the first trials of gunpowder to crush the salt were introduced at the same time. The Old Polish Kraków Salt Works was shut down when the Austrians occupied the city and mines on 10th June, 1772, and from its medieval ashes, so to speak, rose the Wieliczka and Bochnia Saltworks. In 1790 further extension into the subsurface salt body began, with the commencement of another shaft, while horses powering wooden Hungarian horse-treadmills helped haul salt to the surface. Reaching the mid-19th century with continued mining success, the saltworks took another leap forward by expanding their shipment area even further. In 1864 railway tracks were constructed connecting the mouth of the Regis Shaft with main train station at Wieliczka, thus introducing wooden wagons on steel tracks into the equation. This allowed salt yields to be sold and shipped further, as well enabled fresh supplies and transport to be provided direct to the Wieliczka Saltworks. Over 10 years later, at the end of the 19th century, Austrians began to drill from the surface in search of extended lateral salt deposits. Mechanisation of the underground mining methods was introduced using cutting machines and explosives on a large scale. During the German occupation in WW2 the mine was recognised as a plant of special strategic significance, and new innovations and mining methods were introduced. In 1937 leaching towers were used for wet method exploitation of the salt deposits and from 1941-1944 deep openings were bored from the surface into the deposits which allowed for a later development of the mine towards the east. Just days after the departure of the Nazi army, the mine reopened and after repairing and overhauling the mining equipment, in February 1945 the first salts once again under Polish leadership were excavated and production continued until 1964, after which the mine was only permitted to produce evaporated salts. This production phase remained steady over 30 years until 1996, when all salt mining was officially terminated. From then until the present day, the mine only produces evaporated salts obtained from the desalination of the natural mine spill. Full saturated NaCl (Sodium Chlorid, a.k.a. salt) & precipitating salt crystals in the Wieliczka Salt Mines. © Marcin Young-Ziolkowski. Using salt brine to produce commercial salt was considered to be a cheaper and less labour-intensive form of production. This method of salt production requires the evaporation of salt brine by steam heat in large evaporators, called vacuum pans. At the turn of the 20th century, in 1910, the region's first modern vacuum salt pan began construction in order to facilitate this method of production. 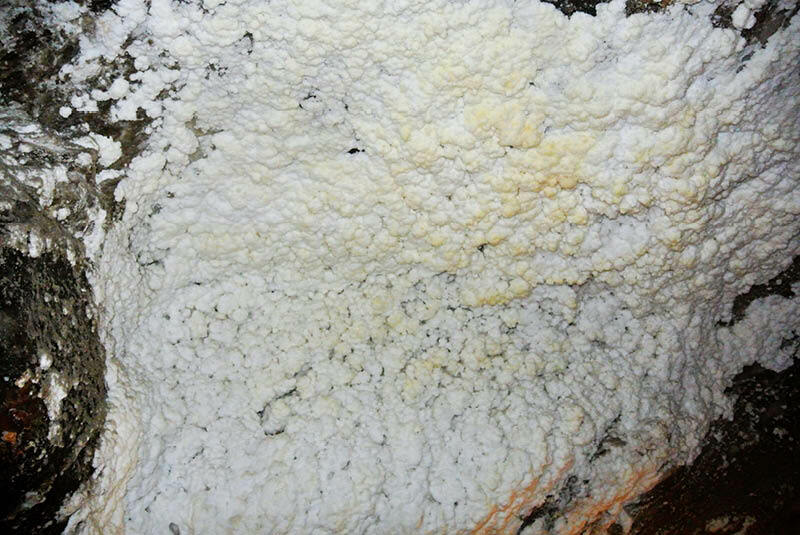 This method is proven to yield very high purity salt; fine in texture, and principally used in those applications requiring the highest quality salt. While still under Austrian occupancy in 1866, the Austrians began to search for magnesium potassium in the lower Level 5, later causing a catastrophic flood of the lowest Level 6. The battle to prevent the flood from rising and consuming more levels within the mines lasted for several years. In 1871 the Chapel of the Holy Cross was sculptured from the Wieliczka salt walls as a symbol marking the eventual control of these flooding waters. It's clear to all who have visited the Wieliczka Salt Mines that it is somewhat a sculptor's paradise, boasting marvellous chambers carved out in rock salt, underground saline lakes, impressive timber constructions and exceptional statues sculpted in salt. If you plan to visit the salt works, “The Pilgrims’ Route” allows you to visit the most important of these chapels and sculptures. The Chapel of St. Kinga, built in honour of patron saint and protector of all who worked in the mines. © Marcin Young-Ziolkowski. This is the cherry on the cake for most visitors to the Wieliczka Salt Mines – undoubtedly marking one of the many highlights witnessed throughout the guided tour. Situated at one of the lowest levels, the Chapel of St. Kinga boasts elaborately and exquisitely decorated chandeliers, numerous awe-inspiring sculptures carved by the finest of hands and bas-reliefs of stunning detail. Legend has it that Saint Kinga of Poland threw her engagement ring into the Maramures salt mine, which was then in Hungary. The ring supposedly travelled along to Wieliczka where it was discovered by local workers. 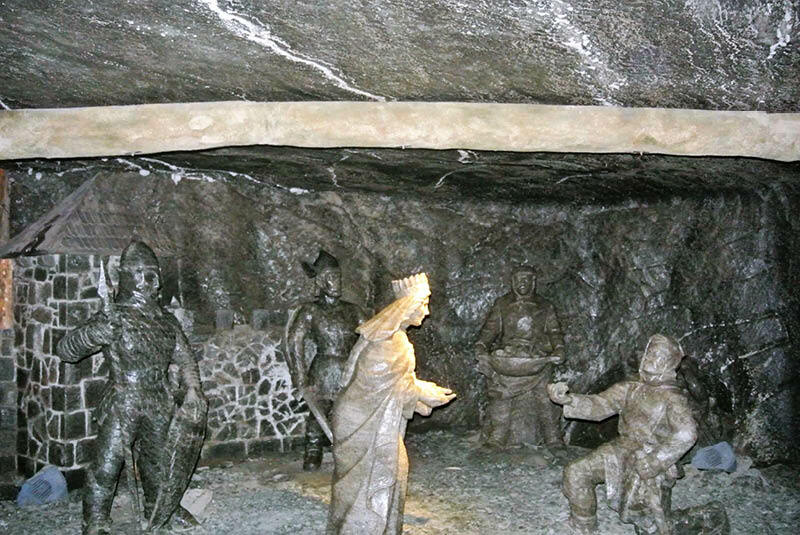 Miners sculpted a statue of Saint Kinga entirely from salt, which now stands 101m below the Earth’s surface. Future miners perceived Saint Kinga as patron of the saltworks and protector of all those who went into the mines to work. Preserved in solid salt. 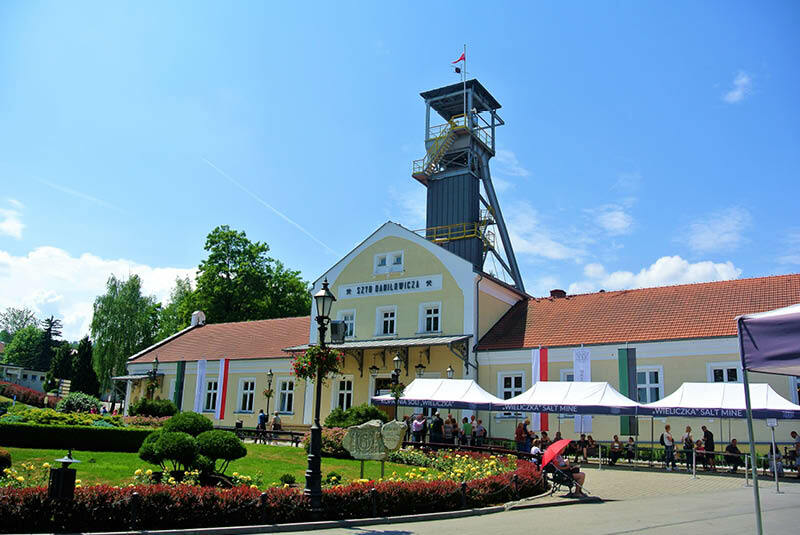 Folk legend tells that St. Kinga's threw her engagement ring into the prosperous Marmaros Salt Mines (Hungary). On travelling to Poland she asked a group of miners to dig for salt and when they found the deposit, wedged inside was St. Kinga's engagement ring. These carvings commemorate the time honoured tale & belief of how salt mining came to pass in Poland. © Marcin Young-Ziolkowski. This chapel symbolically represents the gratitude for the rescue of the mine following the flooding which occurred as a result of mining for magnesium potassium in the lower Level 5 in the mid-19th century. The chamber forming the chapel was created in 1871 but many of the relics and sculptures of saints and the crucifix are up to two hundred years older. These sacred objects are often carried to accompany miners on their journey as they moved deeper underground meandering through newly formed corridors, bringing the décor of the chapels with them for protection and guidance. Blessed Pope John Paul II carved by skilled hands from solid rock salt. © Marcin Young-Ziolkowski. Honoured through sculptures and shrines across Poland, Pope John Paul II is perhaps one of the most iconic saints in Polish history. While I do not find myself to be a religious man, I cannot deny the comfort that seems to materialise from the face of so many depictions of John Paul II, including the pious statue carved from solid rock salt in the Wieliczka Salt Mines. 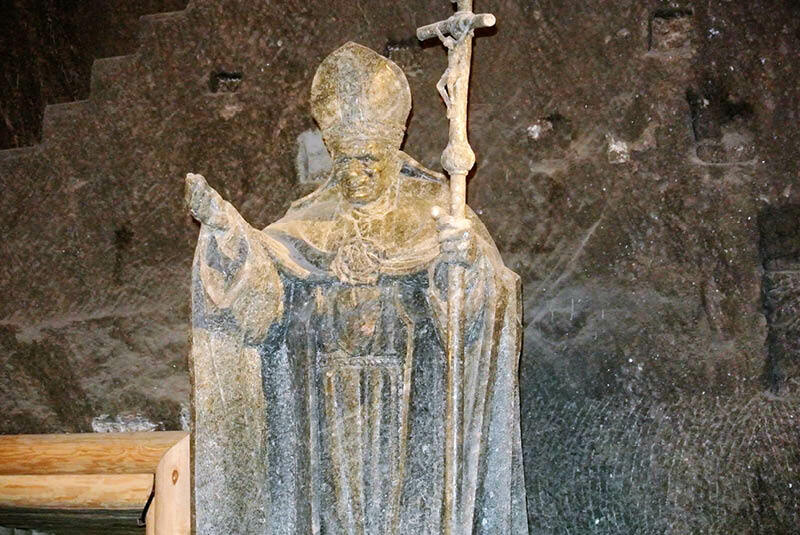 The salt statue of John Paul II is situated in St. Kinga’s Chapel on the lower levels of the mines, where it was unveiled in 1999 as a thanksgiving offering for Saint Kinga, patron of the saltworks. Salt jewel encrusted chandeliers cast light on the tremendous wooden structures erected in place to battle back the forces of the hollowing cavern walls. © Marcin Young-Ziolkowski. Host to little religious meaning, (although it could be argued bearers of religious relics in fact hoisted these large timbers into place) the wooden stairwells mark some pretty impressive carpentry and constructions dating back to the medieval ages. These giant timbers were strategically put in place to improve safety and stability of the corridor and chamber walls as well as to assist the many advancements in mining and transport methods throughout history. Suffice to say, as salt came out – timber went in! 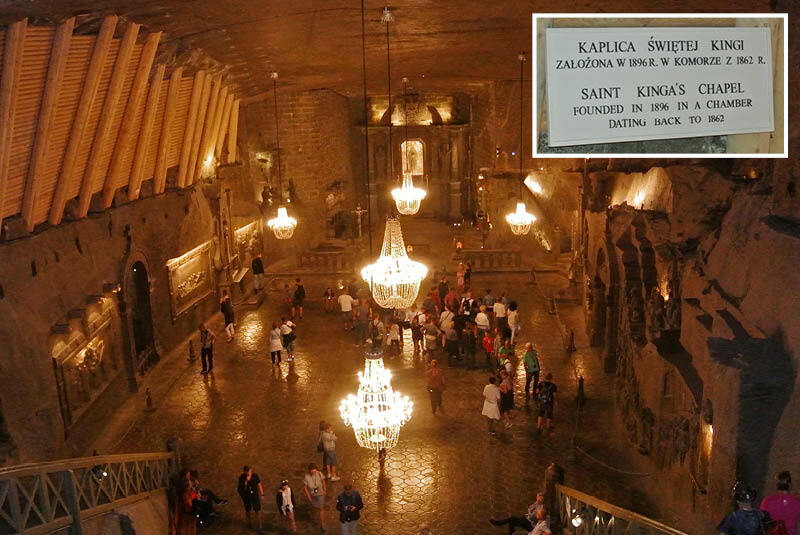 These salt mines truly are another realm beneath our feet, marking some of the most significant geological, cultural and industrial milestones in history. A community and structures which have survived multiple occupancies through history and accidents, now standing strong as an official UNESCO World Heritage Site having already welcomed over 41,500,000 tourists from across the world. 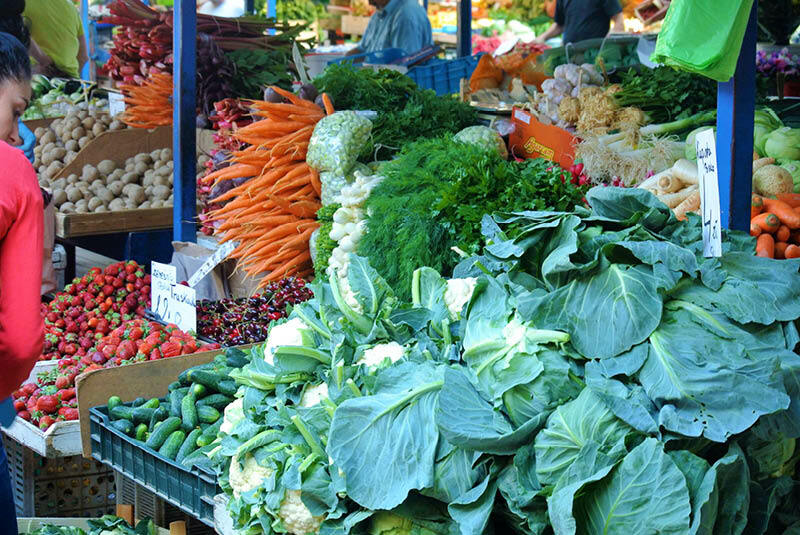 Amidst so much culture it would be a shame to ignore such wondrous foods, found in traditional mountain-style restaurants, or one of Kraków's oldest restaurants or even during a browse through the traditional food market - a perfect place to visit each morning if you're staying in self-catered accommodation. 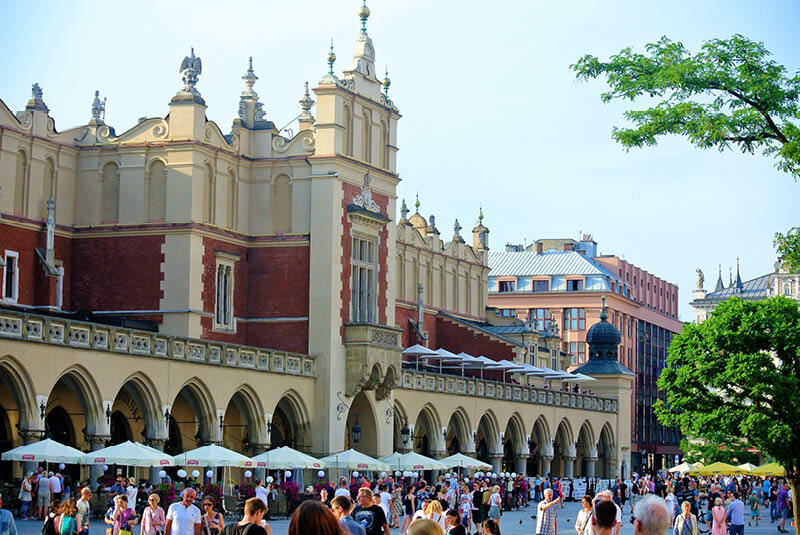 Kraków‘s main square and branching cobbled side streets are perfect for morning coffees, afternoon coolers and pre-dinner drinks especially during the warmer months of spring and summer when a cheerfully calm yet vibrant vibe fills the atmosphere. 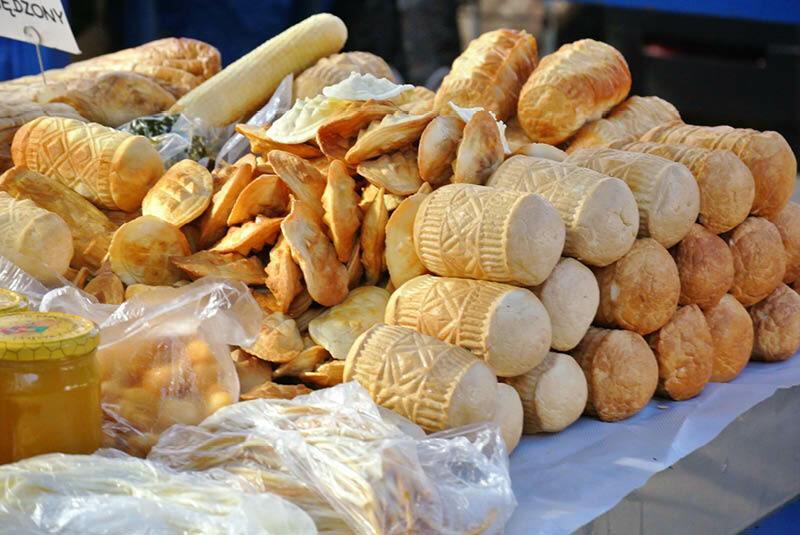 Oscypek; smoked cheese traditionally made from salted sheep milk and often served simply fried with cranberry sauce or grated on to goulash and potato pancakes (a personal favourite of mine). © Marcin Young-Ziolkowski. 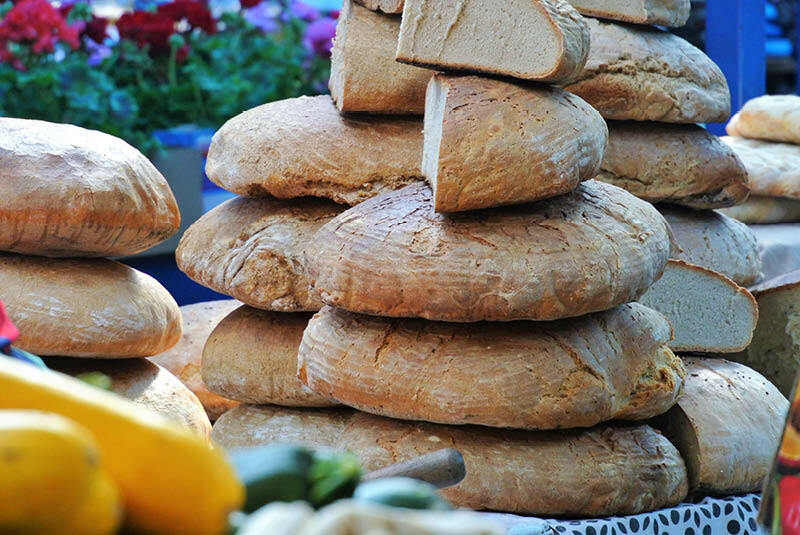 Freshly baked rye-bread rounds at the Kraków Food Market. © Marcin Young-Ziolkowski. 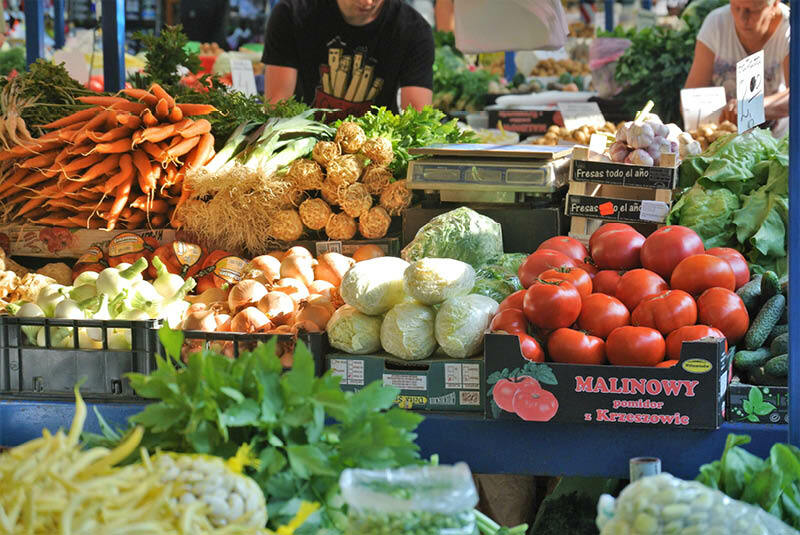 Fresh daily produce from Kraków Food Market. © Marcin Young-Ziolkowski. 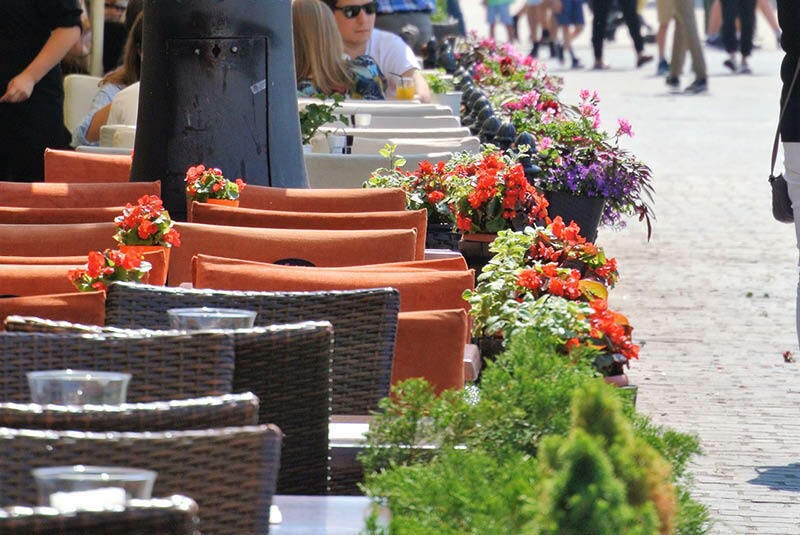 Outdoor seating in local restaurants and cafes fill the walkways throughout Kraków. © Marcin Young-Ziolkowski. Mantle rocks, ancient continental land masses, evidence of oceans far removed, and barely explored sedimentary basins await discovery on this enchanting island in eastern Canada.